There is no pushback against the leftist onslaught in America today. The Republican Party is weak, ineffective and a failed organization. Once again committed leftist reporters will moderate ALL of the presidential debates. NOT ONE is Trump friendly. The Commission on Presidential Debates announced the moderators of the three presidential debates Friday, along with details about what formats those debates would include. 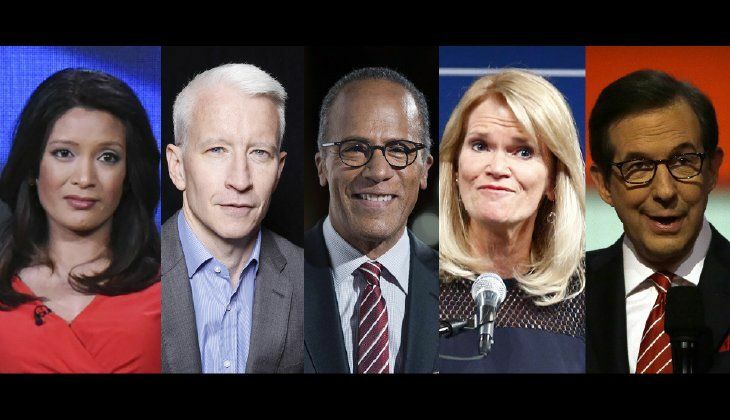 Lester Holt of NBC News is slated to moderate the first debate on Sept. 26, followed by Martha Raddatz of ABC News and Anderson Cooper of CNN as moderators of the second, town-hall-style debate on Oct. 9. Chris Wallace of Fox News will moderate the third presidential debate on Oct. 19. Elaine Quijano of CBS will moderate the lone vice-presidential debate on Oct. 4. Read more on this travesty here.